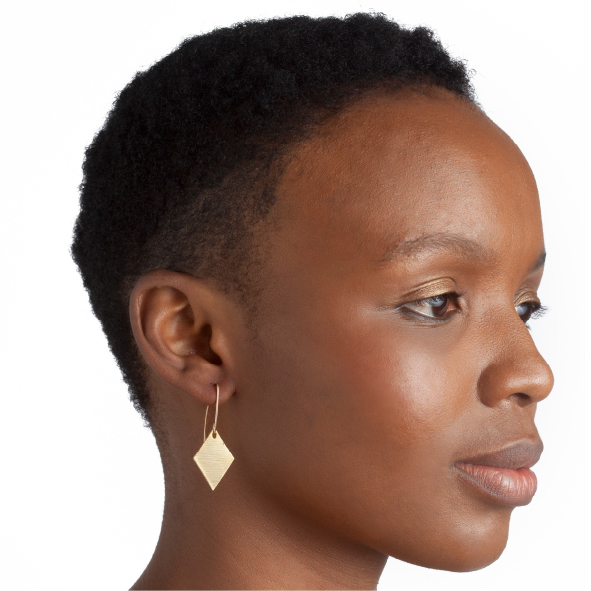 Classic drop diamonds are available in yellow gold plated brass with rolled gold hooks or rose gold plated copper with sterling silver hooks. They are simple and clean and hung specifically so that they move and dance to flicker and reflect the light. 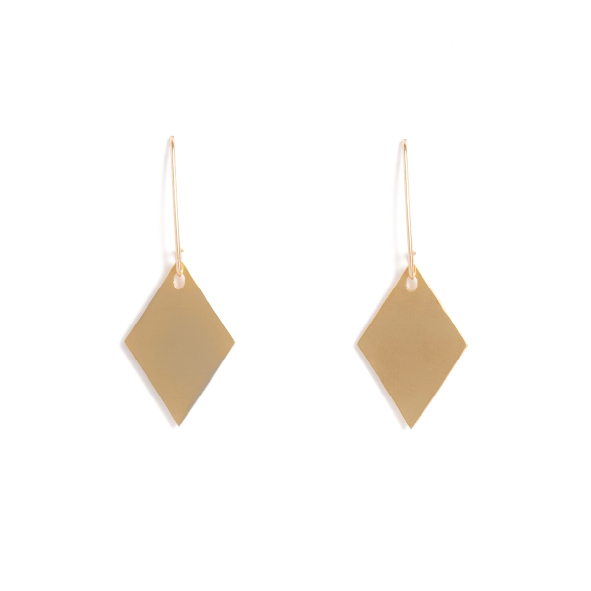 The diamonds are 2cm long x 1cm wide and hang on elegant drop hooks. Notify me when Brass Diamond Earrings is available.